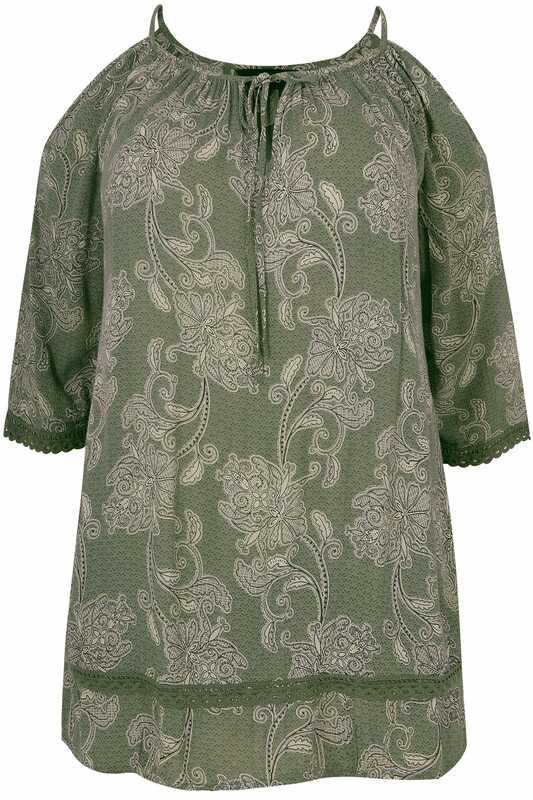 Add an elegant update to your daytime clothing collection with this top. Made from a lightweight fabric, it features a tie fastening at the neck, 3/4 length sleeves with crochet lace trims and chic cold shoulder cut outs. Team with light denim and flats for a stylish go-to look. 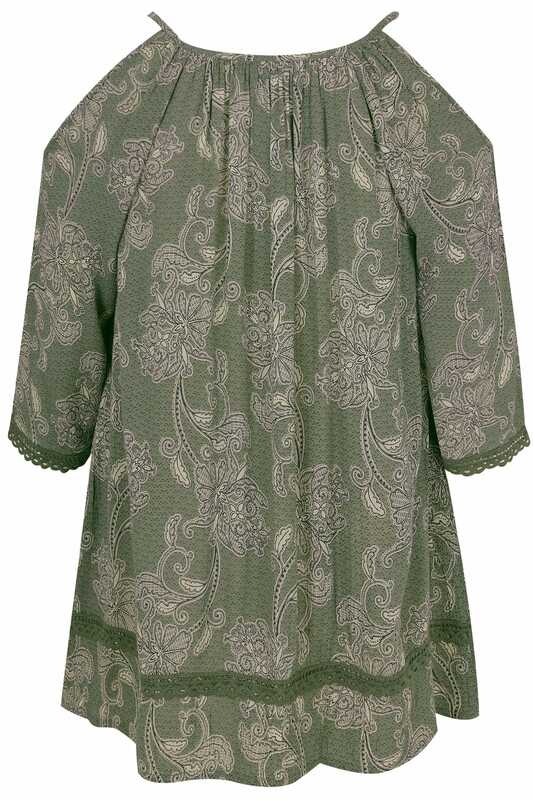 We love the pretty details and the paisley print.